The benefits of being a Tar for life. 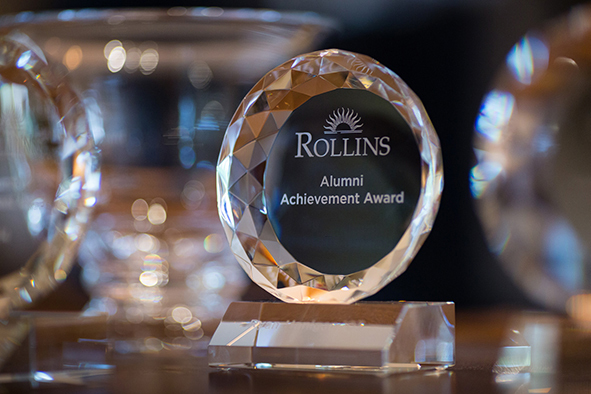 Our Alumni Awards program celebrates the accomplishments and service of alumni who add to Rollins’ distinction. 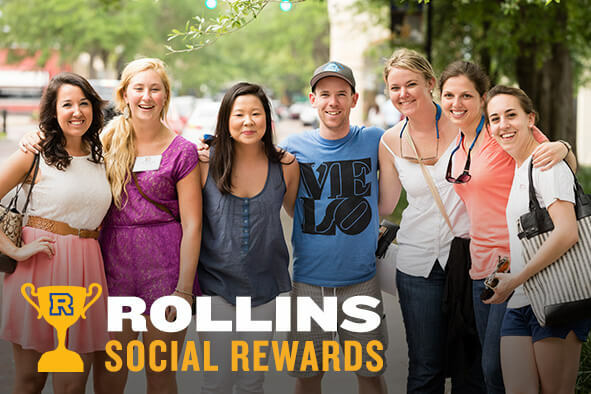 Share your Rollins pride on social media and earn words. Once you graduate, you’re instantly part of the Rollins Alumni Network, a set of thousands of alumni connections who share your passion for Rollins. And with that status come exclusive services and special opportunities to show pride in your alma mater. Apart from the discount available during Alumni Weekend, The Alfond Inn offers 15 percent off its Best Available Rate to alumni, students, families, faculty, and staff year round. The rate is limited and subject to availability. Use code “ASR” when booking. To apply for membership, contact the Alfond Pool Office at 407-646-2123. Subscribe to a season at the Annie for $60 and support our theater students. Call 407-646-2253 for more information. Alumni and external clients can reserve campus facilities and grounds for private events. Visit Scheduling and Event Services for details. The community borrower’s card allows alumni to borrow books from the library. While visiting campus, you’re welcome to use the library’s print collection, Special Collections & Archives, and most online resources. Certain online databases and other in-house resources are restricted to current students and employees. Alumni can’t access online databases off campus. For more information, call 407-646-2521. Alumni receive discounts on Bookstore merchandise during Alumni Weekend. The Rollins Bookstore is also available Monday-Thursday after 6 p.m. to alumni free of charge for small events. To book your event, contact Manager Mary Vitelli at 407-628-6303. Alumni and their children, faculty, staff, and full-time students can reserve the Chapel for weddings. Weddings are only performed on Saturdays and available times include 1 p.m., 3:30 p.m. and 6 p.m. For more information and availability, contact Religious & Spiritual Life at 407-646-2115.